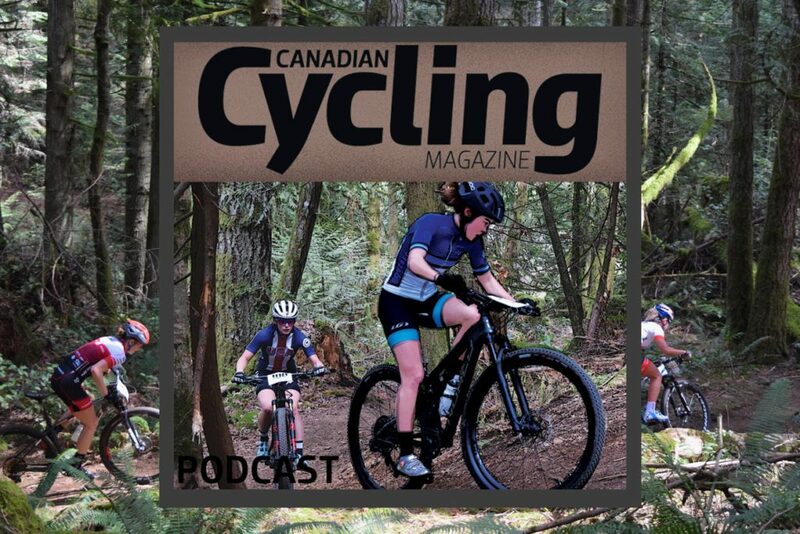 With canyon views and a riverside rollout, 2018’s edition of the Singletrack 6 mountain bike stage race headed out onto the trails of Golden, B.C. on Saturday. The neutral rollout along the Columbia River was briefly interrupted by an early morning train crossing, giving riders an extra couple minutes to wake up or to calm the pre-race jitters on the opening day of the six day event put on by TransRockies Events. Jena Greaser separated herself from the Open Women Solo category to win Stage 1. Stage 1 of the 2018 Singletrack 6 traversed Golden’s CBT Mainline and Moonraker trail networks, featuring fast, flowing trails, along with plenty of climbing to separate the field. After 53 km of racing, and 1,500m of elevation gain, Justin Lindine and Jena Greaser had established impressive leads in the Solo Men and Solo Women’s categories. Lindine looked strong in his return from a mid-season broken wrist, and leads Chris Baddick and Evan Guthrie by two minutes after one stage of racing. Tomi Misser of Barcelona, a former World Cup downhill racer, leads the 40+ Men’s category, but with a time fast enough for second behind Lindine. Greaser is off to a flying start in the Solo Women’s race this year. She leads Elyse Nieuwold, Pendrel Racing’s upcoming World Cup rider, and Juliana Bicycles Mical Dyck by six minutes. Evan Guthrie making XC great again and winning the first Singletrack 6 Timed Descent of 2018. The first Timed Descent of this year’s Singletrack 6 ran down the scenic Canyon Creek trail, a high speed run that hangs above a 200 metre drop to it’s namesake creek below. Evan Guthrie and Mical Dyck were the fastest and most fearless, taking the first wins in this race within a race. Also racing the 2018 Singletrack 6 is Alex Steida, one of the few Canadians to wear the yellow leaders jersey at the Tour de France. Steida is racing with his son AJ. The pair finished day one 65th and 66th in the Open Men’s category. Jena Greaser won the Open Women Solo category for Stage 1.